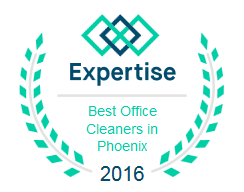 No matter if you live in Phoenix, Scottsdale, Mesa, Tempe, Surprise, Goodyear, Paradise Valley or Fountain Hills, you need us! That’s because everyone needs a reliable window cleaning service from time to time. And here is exactly why you need us to pay you a visit at least a few times a year. First of all, we are time savers. If you were to clean your windows yourself and do a great job, it would probably take you somewhere from two hours to a half a day, depending on how many windows you have. If you hire a window cleaning service, those two hours to a half a day are now called spare time. And let’s be honest, who wouldn’t appreciate some extra spare time? Second of all, we do a great job. If you were to clean your windows yourself, we highly doubt that you could get rid of all the smudges or reach all those impossible corners. We have the right products and the right equipment to deal with these problems. Arizona Window Washers will surely get rid of all the smudges and reach every inch of your windows. That’s why we’re called the best window cleaning service around. 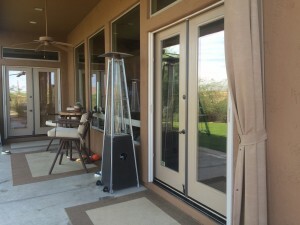 We don’t only clean the interior and exterior of the glass, but we also clean the screens, sill and frames. One other reason why you absolutely need us is the fact that we offer a very wide range of services. Apart from window cleaning, we can also clean gutters, exterior house walls, and do pretty much anything that involves power washing or pressure washing. You probably can’t even remember just how amazing the exterior walls of your house used to look. Well, we can restore them to their former glory in no time! And since we’ve mentioned some of our skills, you should also know that we always perform our job with the highest attention to detail. When it comes to hiring a window cleaning service, most people are reluctant because they are under the impression that it is highly expensive. Well, the great news is that our packages are not expensive at all. Given the fact that we can help you out with so many things around the house (exterior house cleaning, power washing, window cleaning) hiring us would actually save you a lot of money. The bottom line is that every house should have not only clean, but impeccable looking windows. We have already established that a window cleaning service would save you both time and money, not to mention that it would clean everything perfectly. 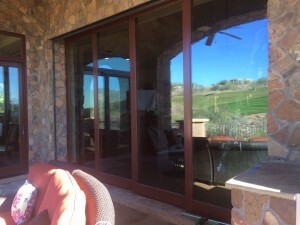 Arizona Window Washers has hundreds of satisfied customers. If you want to be one of them, you can give us a call, or even drop our office in Phoenix. This entry was posted in Window Cleaning and tagged house washing phoenix, pressure cleaning, window cleaning. Bookmark the permalink.